If you have a node that cannot be authenticated trough the proxy, you can use Complete ACLs to whitelist this node from the Authentication. You can exclude a node with 2 proxy objects, the source IP address or the MAC address. First on the Complete ACLs, create a new rule. Turn on the “Allow” option. 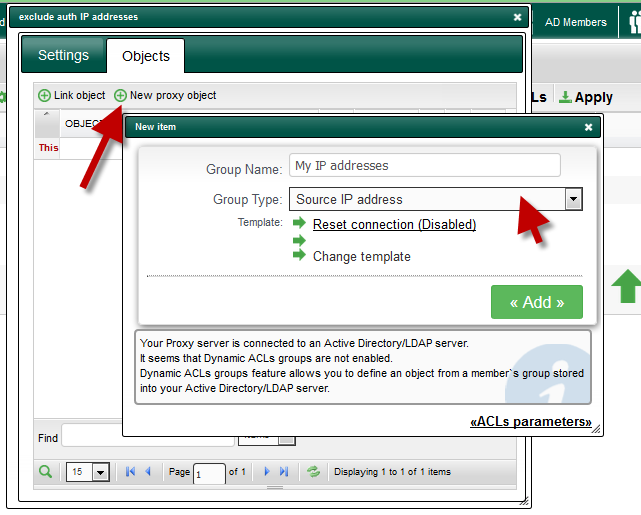 Set the Proxy Object group name in “Group Name” field. 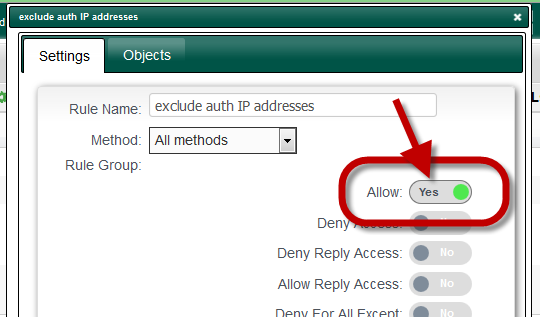 Select “Source IP address” or “Mac Address” in the drop-down list. Click on the link in the added object. 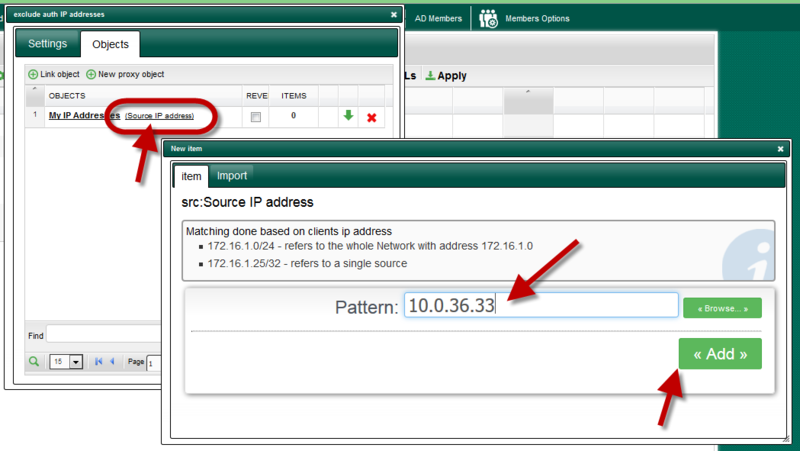 On the Pattern field add your IP addresses/Networks ( or MAC ) and click on ADD. Do not use multiple objects on the same rule but add multiple items on the same object. Ensure that this rule is on the top level. Click on Apply button to make the rule in production mode.